The official UFC 236 poster has been released, featuring an interim lightweight title fight between Max Holloway and Dustin Poirier in the main event. The official UFC 236 poster has been released. It features the four men involved in the two interim title fights of the night. 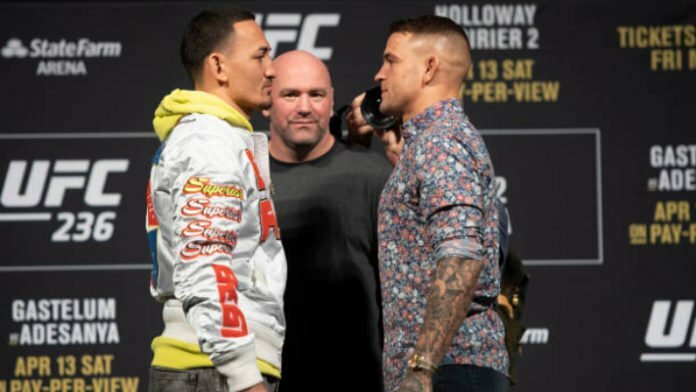 UFC featherweight champion Max Holloway faces Dustin Poirier for an interim 155-pound strap. Israel Adesanya and Kelvin Gastelum will fight for an interim middleweight championship in the co-main event. What do you think about the UFC 236 poster?